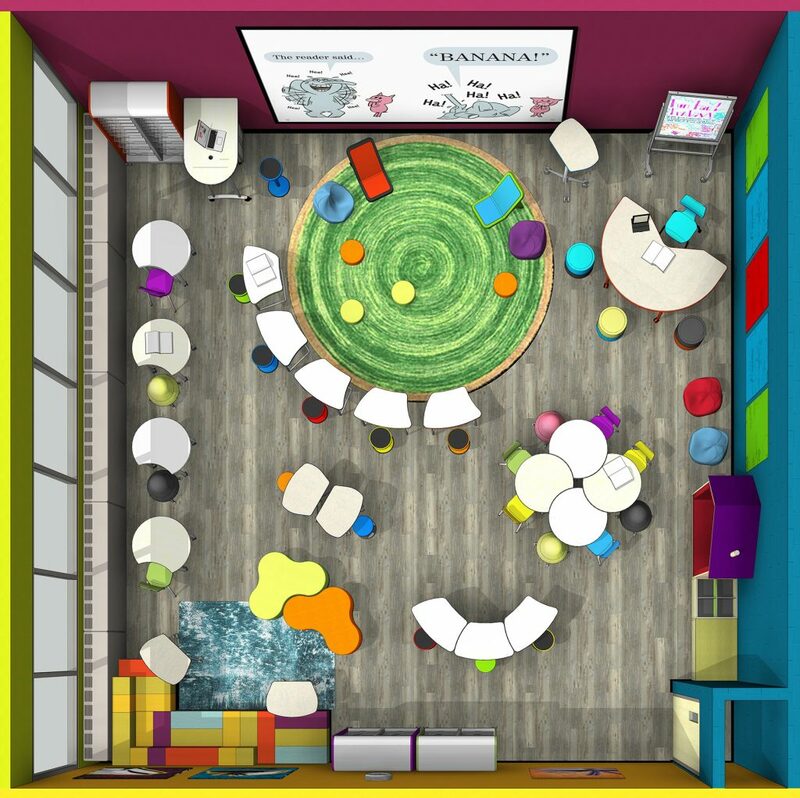 Children’s play spaces, collaborative spaces and makerspaces are topping the list of priorities for our library customers this year. 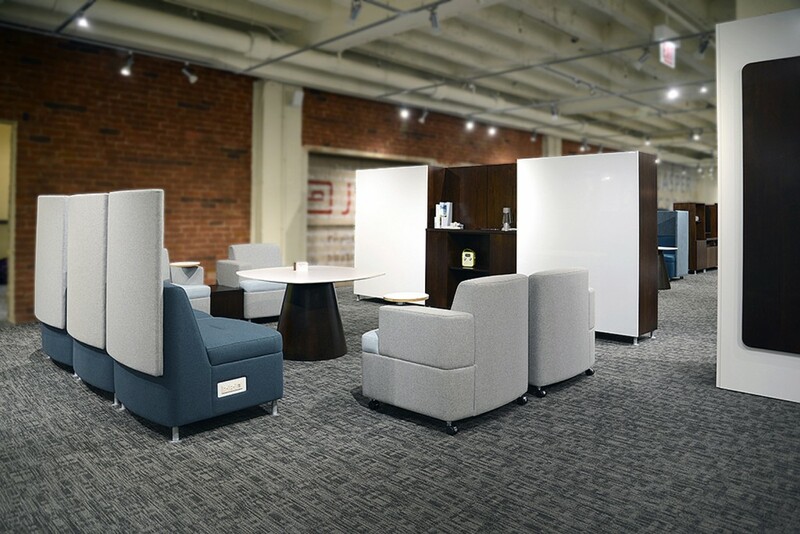 In our quest to find these customers the best furniture solutions to support these trends, our design staff has uncovered a few gems. 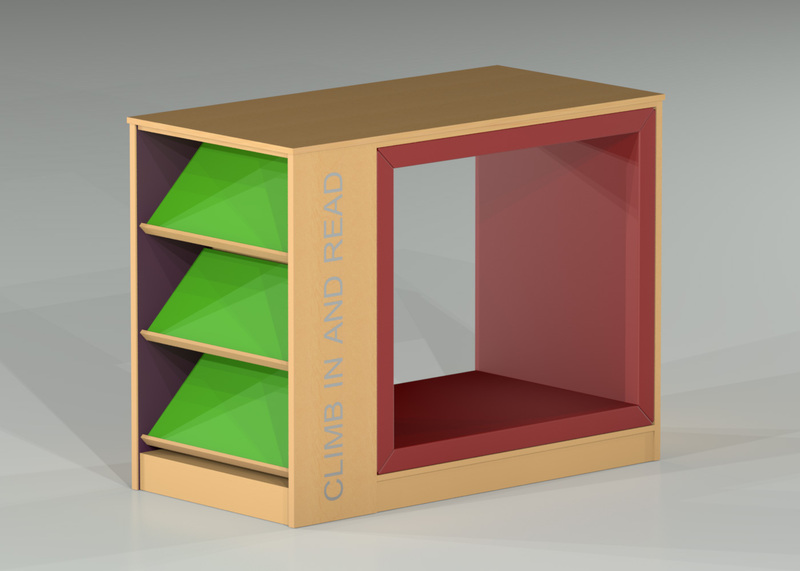 Demco PlayPods are available in three styles, each one designed to create a small, personal space within a space. 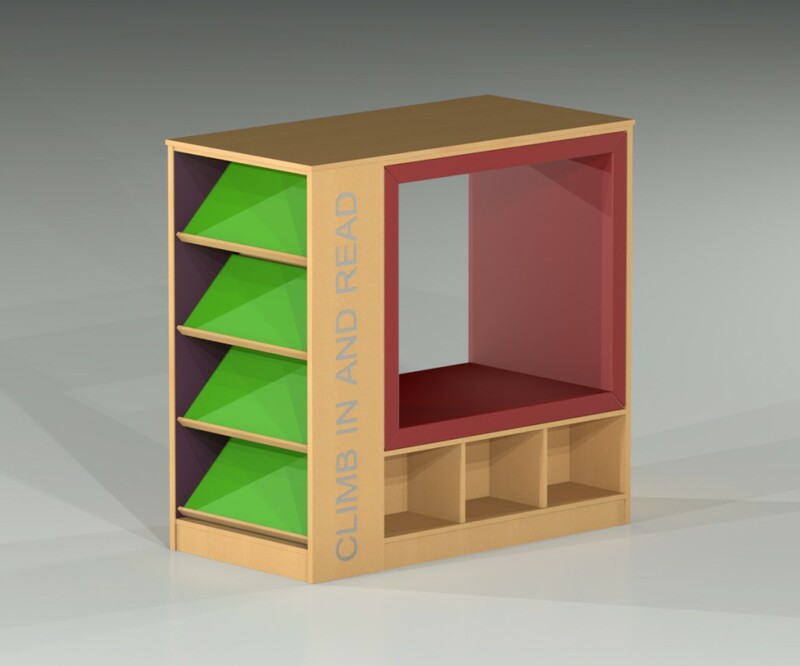 PlayPod modules can be used as freestanding units or integrated into Demco’s ColorScape® shelving system providing a place where a child can crawl in to sit and read or talk with a friend. 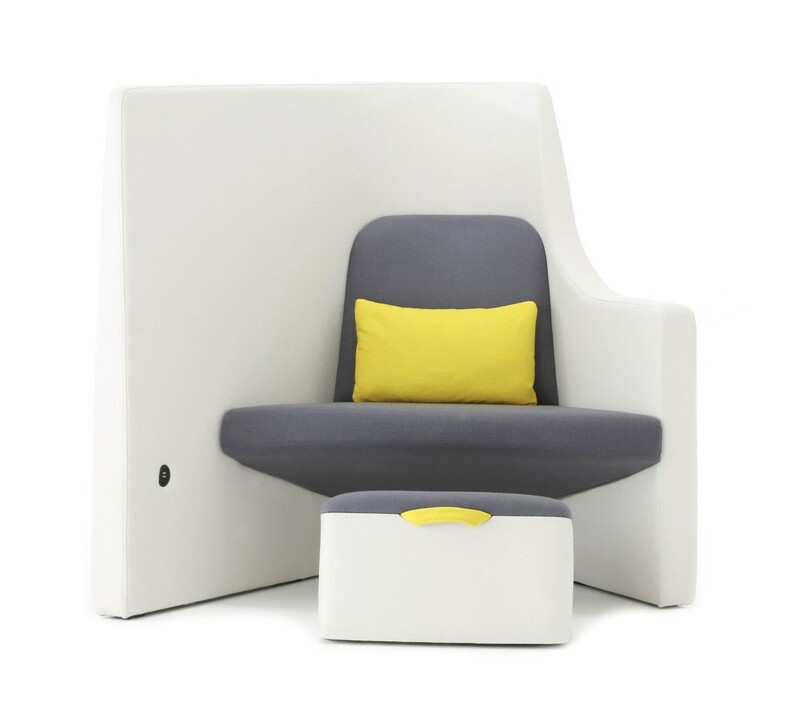 Designed by Q DESIGN, the Crest Lounge is a forward-thinking lounge chair that stimulates the body with continuous movement. 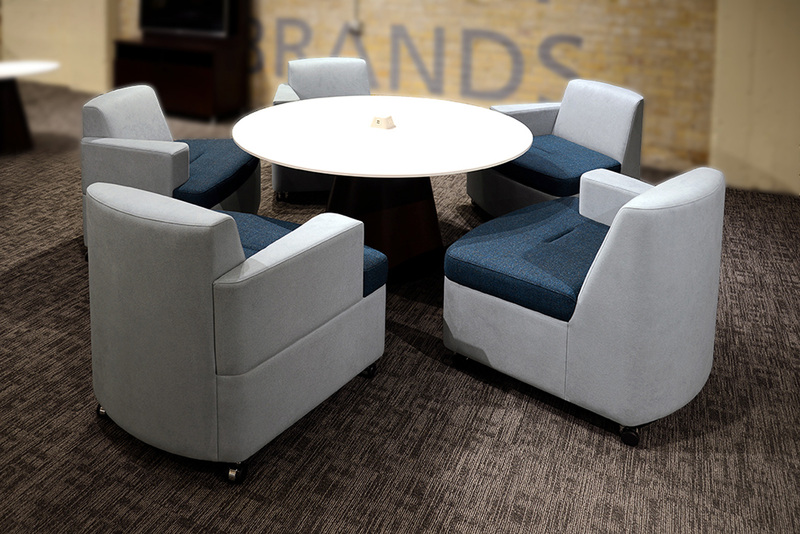 Crest features a rocker base design and a generously proportioned seat and back for exceptional comfort. 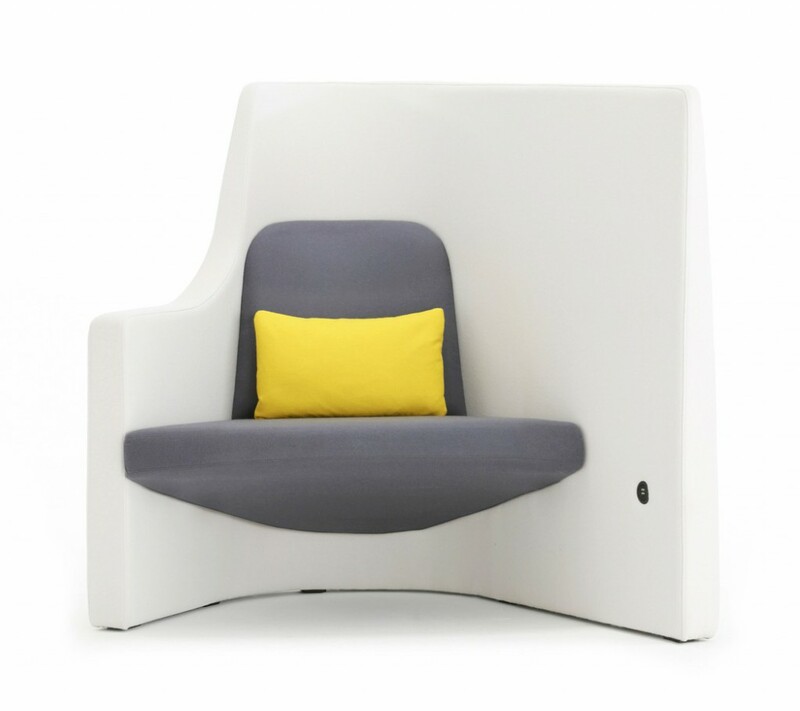 Moto is a modular lounge series that offers a variety of components that support collaborative work environments. 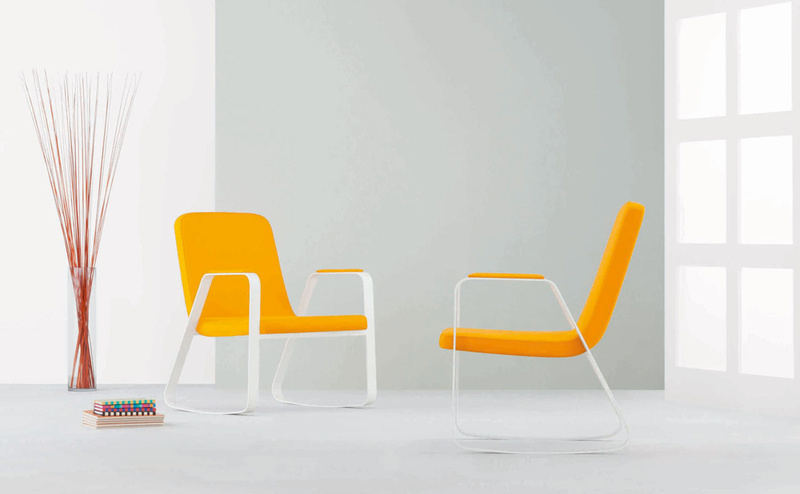 Allermuir Vee is available in two forms. 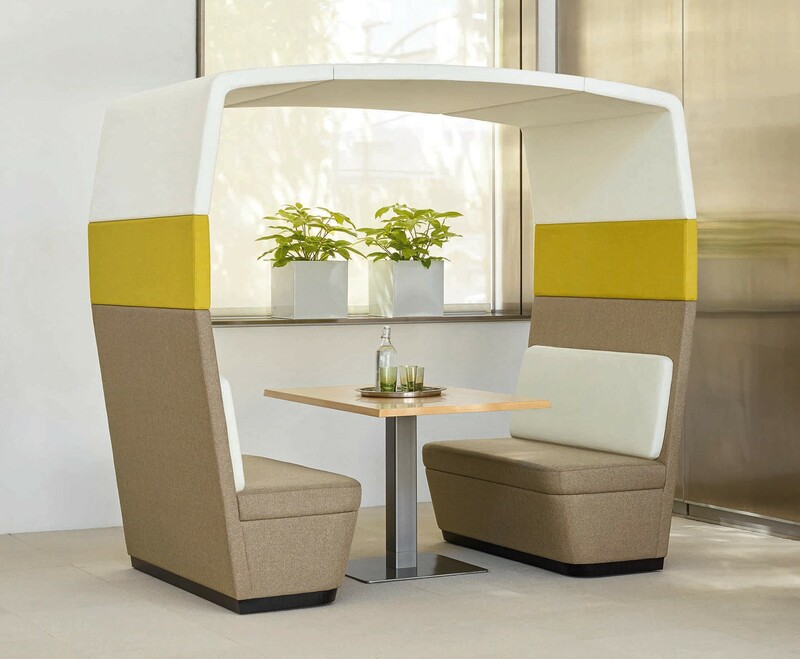 The drop down arm design allows for side to side interaction, while still providing a semi-enclosed space. Given its low/high arm styling this version is available in both left and right hand configurations. 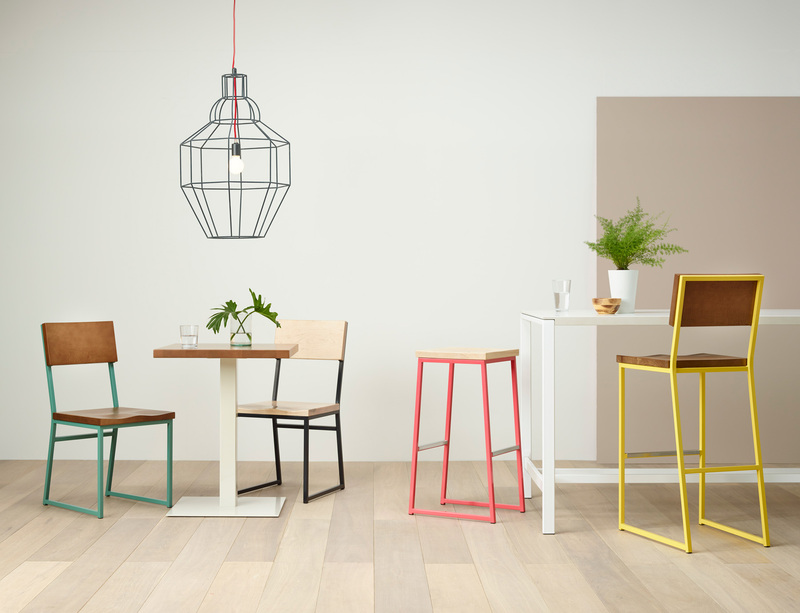 Inspired by schoolhouse furniture, the Brady collection features tables, chairs and barstools. Brady is versatile, transitional and durable. 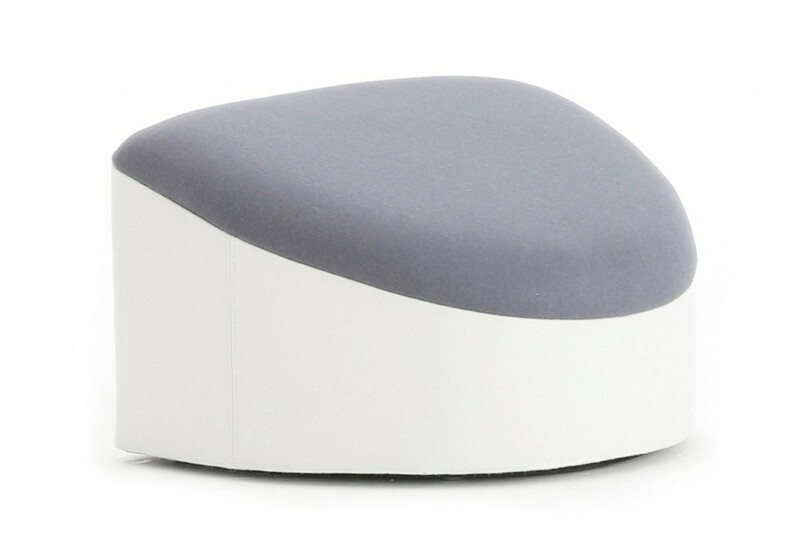 The solid wood seat and back provides the durability, perfect for high-traffic spaces. 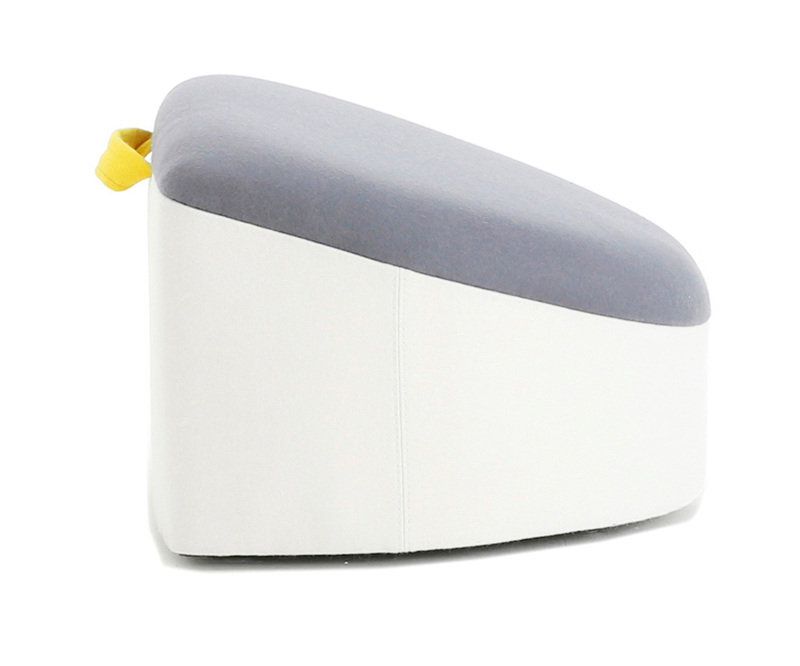 Brady also features steel sled base that can be painted for a fun and distinctive pop of color. 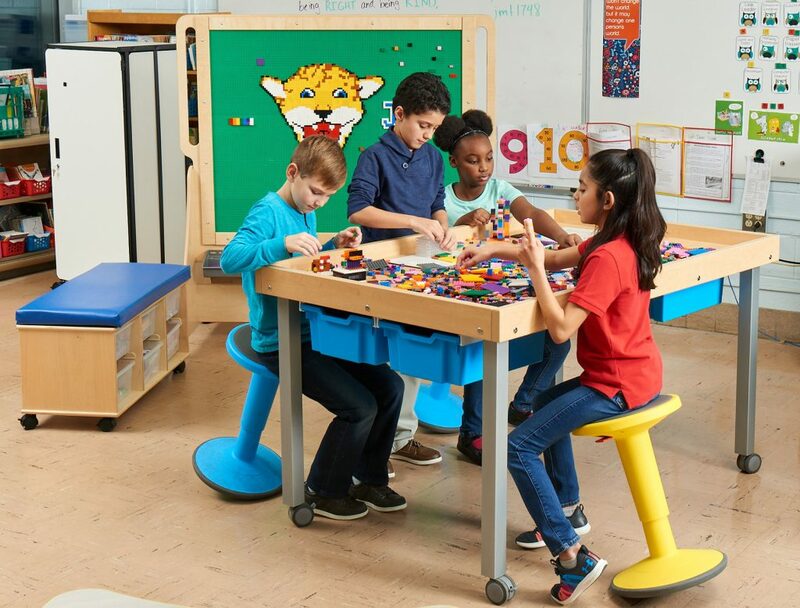 The coordinating table comes in standard height, counter height and bar height versions, with either solid wood or laminate tops (have you tried the marker board laminate?). Designed by Q DESIGN, Co-op is all about bringing people together and inspiring one another to achieve more. 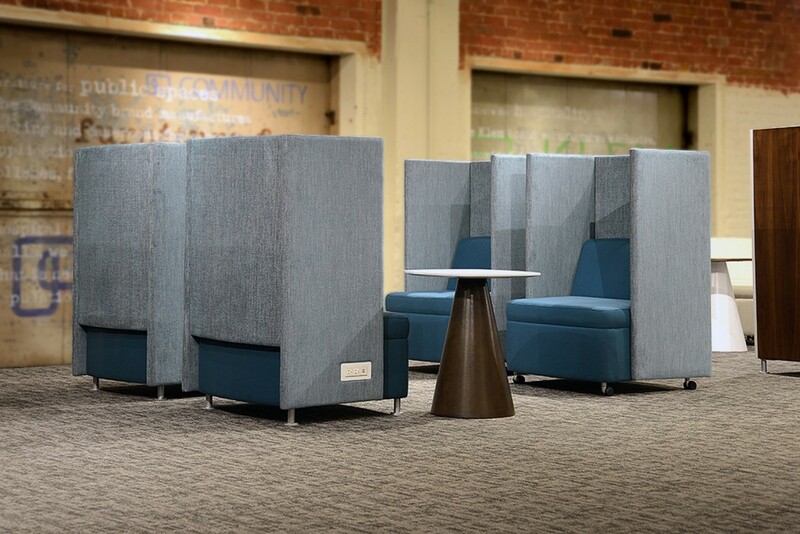 A module lounge systems offers a variety of ways to create a semi-private work space ideal for collaboration. Co-op will be available Winter 2015. 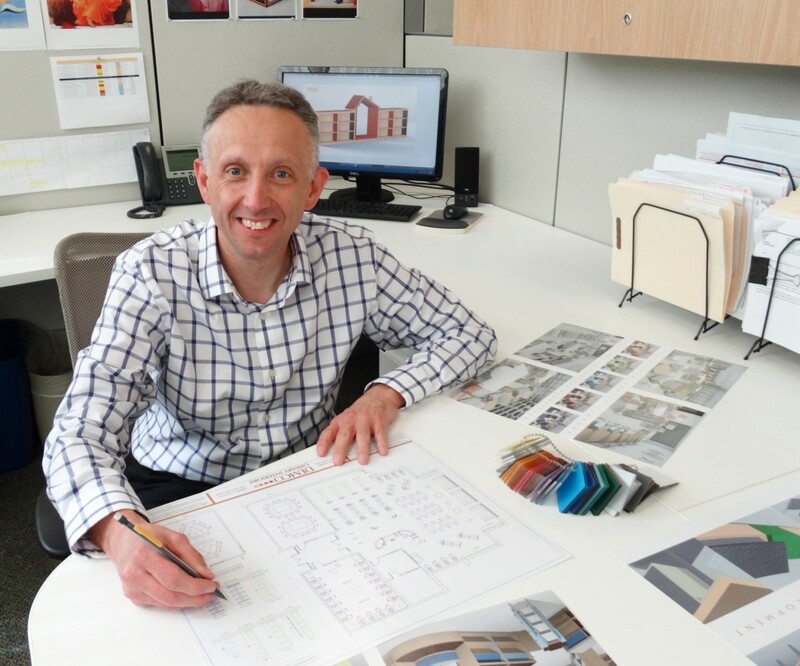 Stephen leads Demco’s Design Services team. 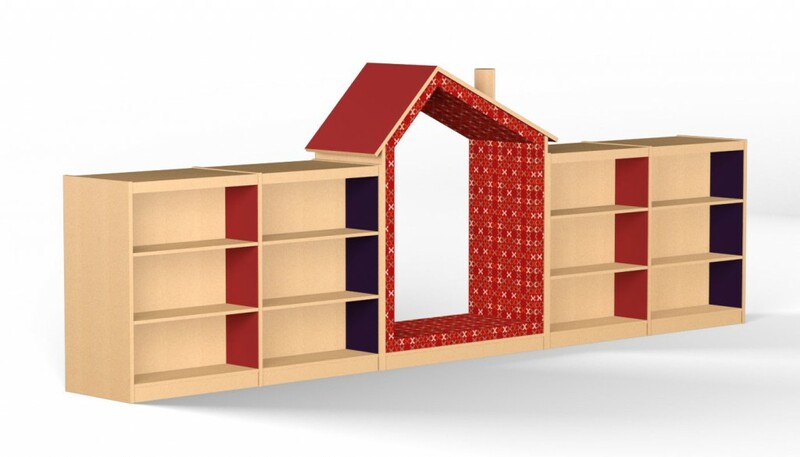 He is an experienced furniture, product and interior designer with a background in designing educational products and impactful educational interiors. 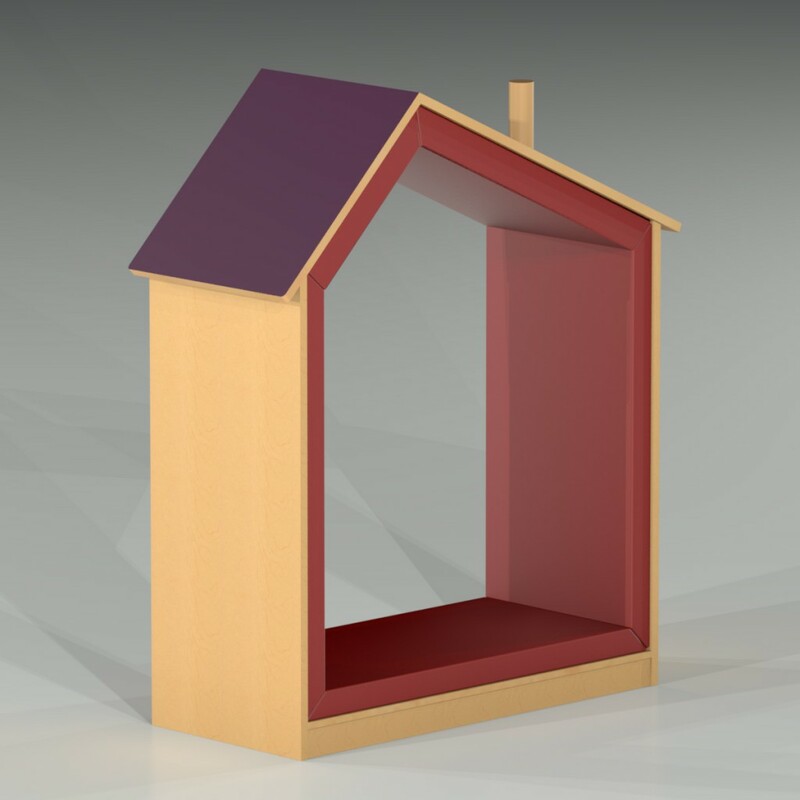 Stephen has 20 years of design experience, including 5 years of international experience at Demco Interiors UK in England. Amber is well versed in educational products and interior design. She has a particular interest in designing youth spaces and loves incorporating new and innovative products to create engaging environments. She also finds it rewarding to design more efficient library and school interiors that help improve community engagement by encouraging and inviting interaction. Amber holds a Bachelor of Fine Arts in Interior Design from the University of Wisconsin–Stout and also minored in Sustainable Design and Development. She continues to stay up to date with modern practices and in touch with the design community by being a member of the International Interior Design Association (IIDA) and attending furniture conferences and events. 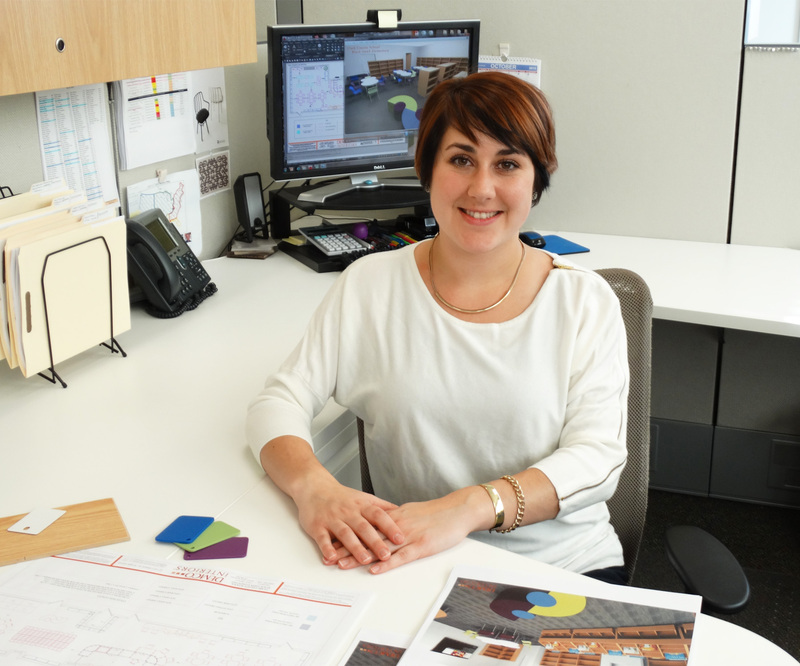 Brianna enjoys watching the changes that occur in a space from the initial design concept to the completion of the installation — seeing this transformation and the customers’ reaction to the new space are what gets her excited about design. She enjoys introducing customers to ideas that they may not have considered. 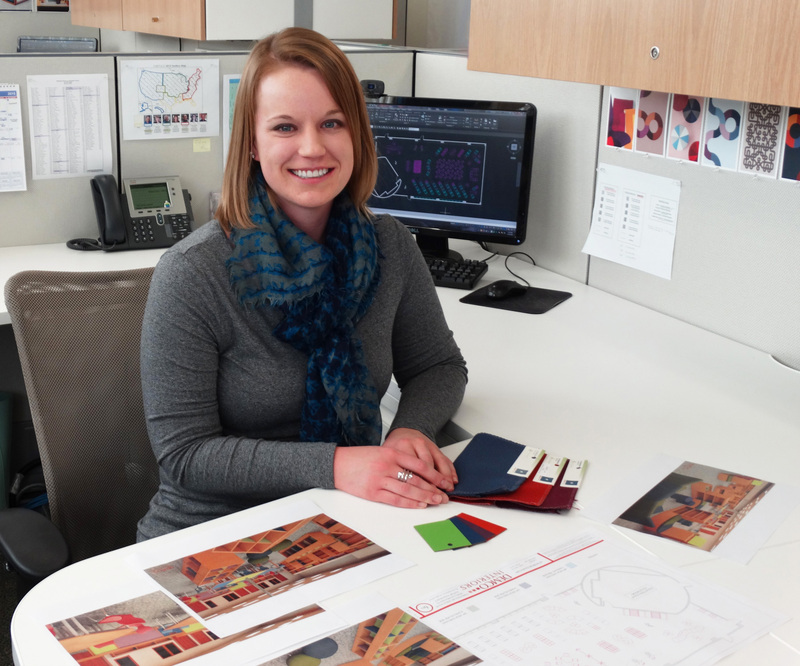 Brianna has a Bachelor of Fine Arts in Interior Architecture from University of Wisconsin–Stevens Point and is an active member of the Wisconsin chapter of the American Society of Interior Designers. Away from the design studio, you can find Brianna playing and coaching volleyball, snapping some photographs while on a hike, or creating a new recipe in the kitchen.